Throughout history, there have been many scientists who have held paranormal/supernatural beliefs. Sir Isaac Newton was obsessed with numerology and astrology. William Crookes was deeply interested in seances, spiritualism and paranormal phenomena. Oliver Lodge was fascinated by the idea of thought thought transfer. Charles Richet believed we are capable of having genuine premonitions and that we have a 6th sense. And Marie Curie’s husband, Pierre, was passionate about mediumship and attended many seances. I have been asked if there is a paranormal investigator that I would have liked to have worked with. I answer Harry Price, who many consider the first celebrity paranormal investigator. Although he didn’t have a scientific background, he would use scientific techniques in his research, and also to debunk and expose frauds. Price became an expert in magic tricks and slight of hand tricks, and used this knowledge to be able to expose the tricks that some of the mediums were using. He would use his scientific knowledge to conduct experiments and prove fakery. 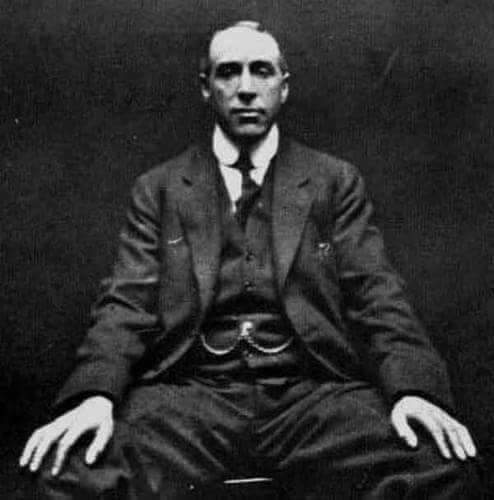 Harry Price is probably best known for his investigation of Borley Rectory in Essex, England. He lived there for a year from May 1937 to May 1938. He wrote about his experiences, and also the supposed hauntings of the building since it was built in 1863. Harry Price aimed to use a scientific approach during his study of the paranormal. He tried to explain and debunk all stories of ghosts, myths, activity and seances. Although not so much with today’s ‘celebrity’ investigators, scientific research still exists with the paranormal field. Serious investigators and researchers have taken a backseat in the media to the tv personalities of shows such as Most Haunted, Ghost Hunters and Ghost Adventurers. Recently, accomplished physicist Brian Josephson was in the media stating that he believes that quantum physics will help to understand the basic properties of telepathy and telekinesis. I believe that there are many scientists who do believe in the paranormal and that science can help with the research, but I feel they are worried that their reputations would be tarnished if they were to admit to it. 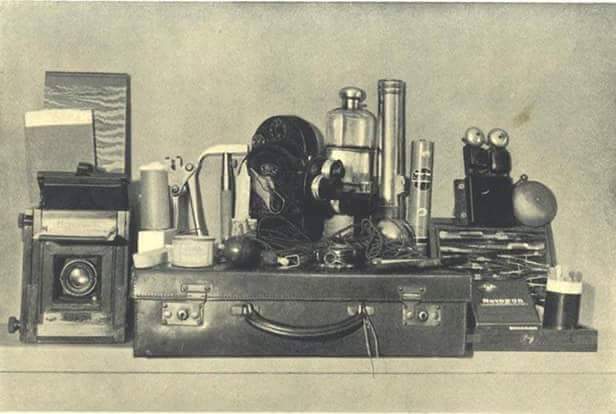 Pictured below is some of the equipment Harry would use during his investigsting. He is a fascinating figure! I agree, not enough “debunking” is done these days along the lines of investigating the paranormal. Just because a piece of equipment goes off, doesn’t necessarily mean you have a ghost in your midst. Since we primarily deal with private homes, I would much rather be able to tell a client they have squirrels in the attic then random ghosts or spirits. Does that happen? Not often but we still strive to find a rational explanation.